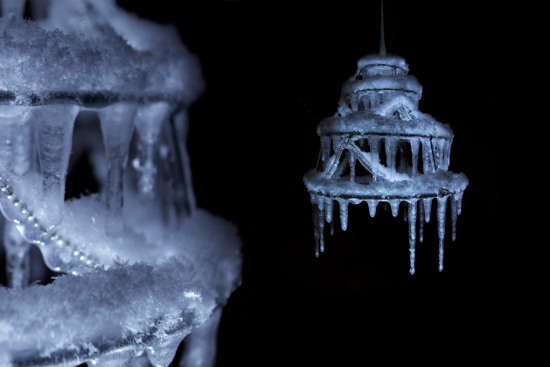 Usually, the idea of hanging a decorative chandelier from a tree outside and exposing it to the elements would seem like a form of vandalism, but in the case of Polar Light by Belgian designer Arturo Erbsman, this practice is actually encouraged - and rather than destroying the chandelier, exposure to the elements is actually what creates its distinctive look of being coated in ice. Designed to be hung from a branch of a tree in winter, Polar Light is composed of a metal structure covered with a soft white woven fishnet that catches water in all its forms. At dawn, when the morning dew deposits micro droplets on the surface, the water gradually freezes as it drips into stalactites. 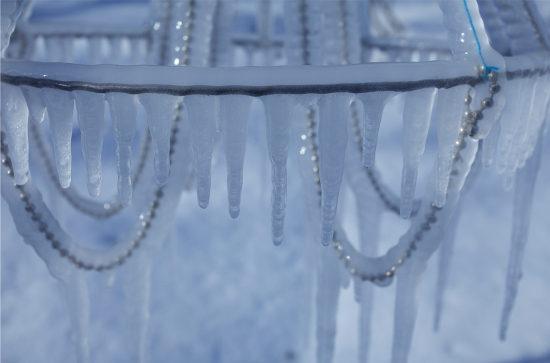 Over course of the day, the structure stiffens and is coated with ice. 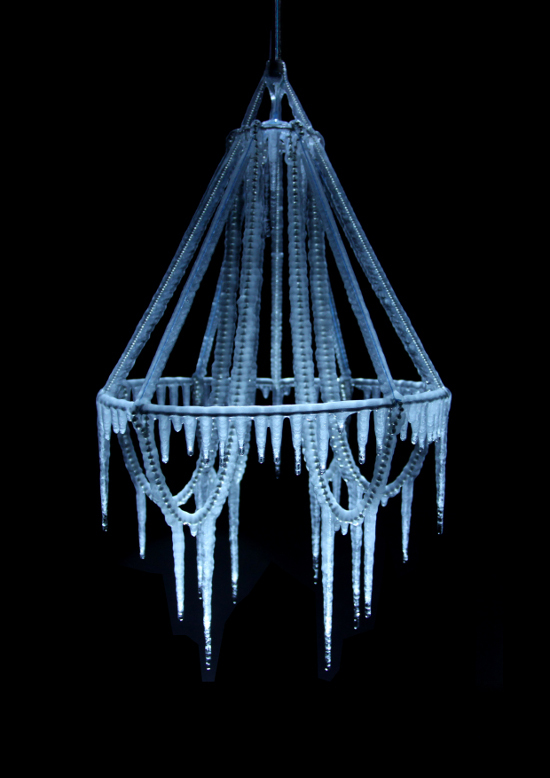 As night falls, the chandelier begins to glow as rays pass through the ice, highlighting the beauty and delicacy of crystallisation of water. 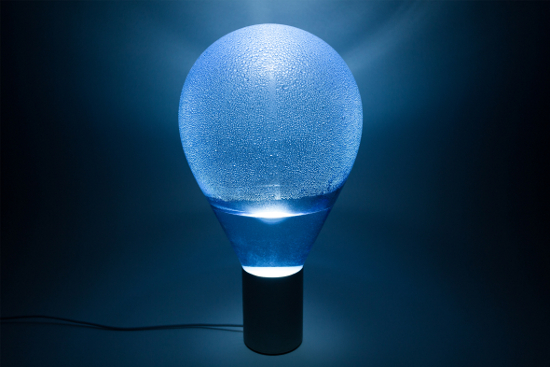 The piece is one of several lighting products by Erbsman that interact with natural elements. 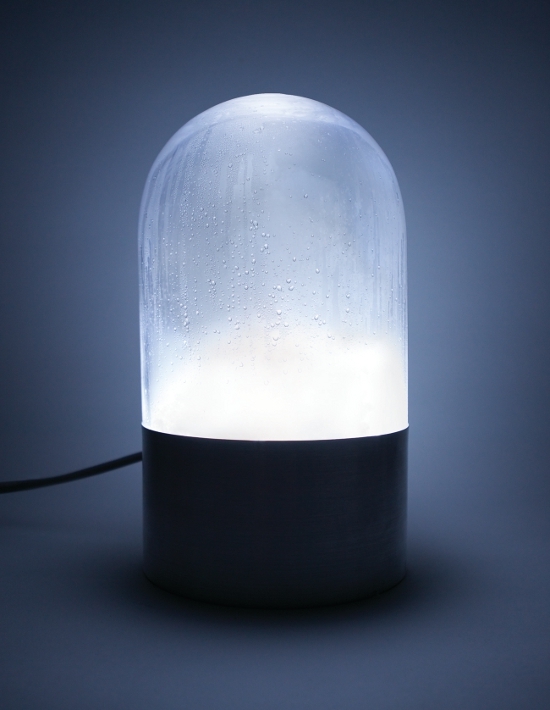 He has also designed Atmos, a light that uses water condensation to diffuse light, and Cumulus, which is equipped with an ultrasound device that turns water into mist, in order to create a swirling white feather cloud within the dome.